Sri Sai Baba of Shirdi inspires unflinching faith and conviction from the Sai devotees. His simple and straightforward messages strike an immediate chord with people of any faith. 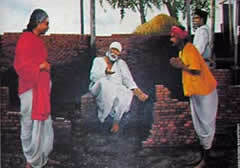 Sai Baba has imparted eleven assurances to the mankind inspiring confidence among his disciples. Whoever puts his feet on Shirdi's soil, his sufferings would come to an end.